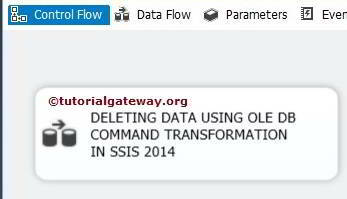 In this article we will show you, How to Delete Data using OLE DB Command Transformation in SSIS. 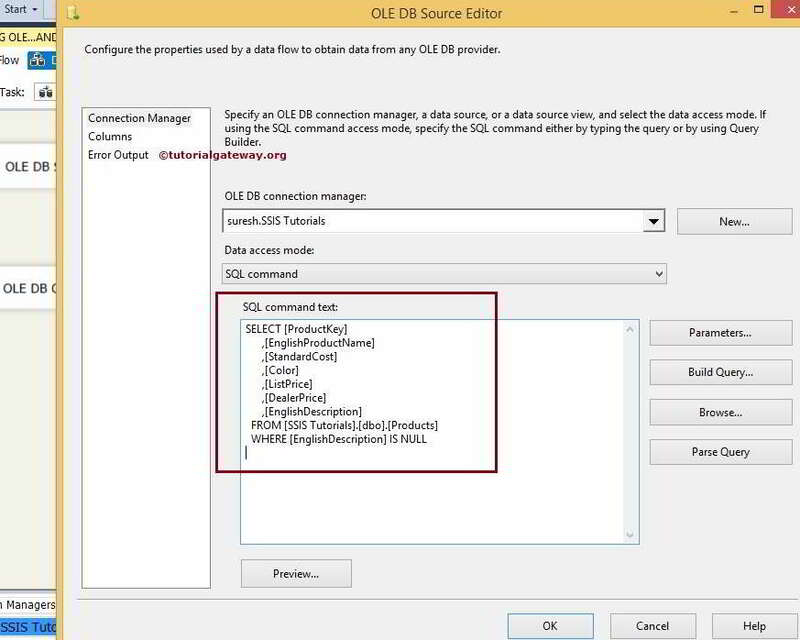 Please refer OLE DB Command Transformation in SSIS article to understand How to insert data using OLE DB Command Transformation and Update Data using OLEDB Command Transformation article to understand the Update operations. 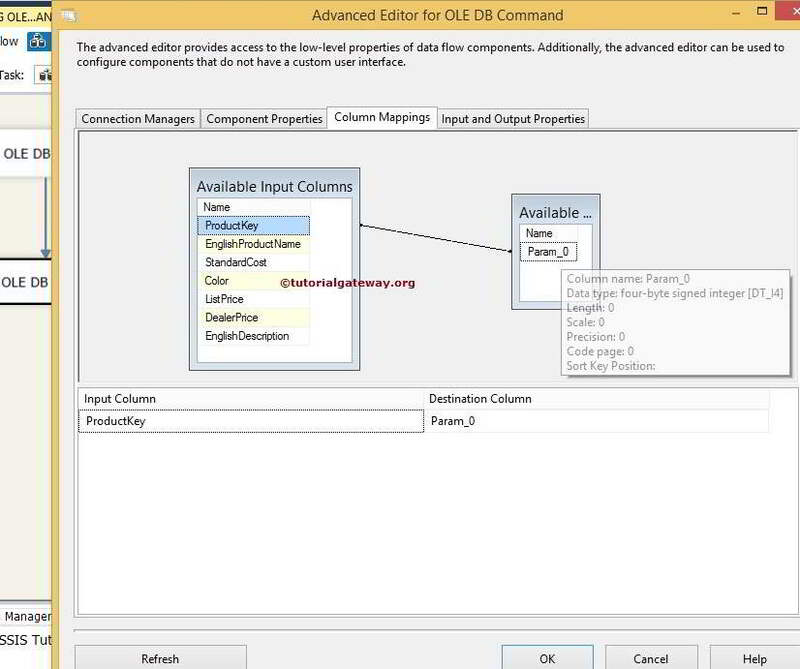 Drag and drop the Data Flow Task from toolbox to control flow region and rename it as Delete Data using OLEDB Command Transformation in SSIS 2014. Double click on it and it will open the data flow tab. 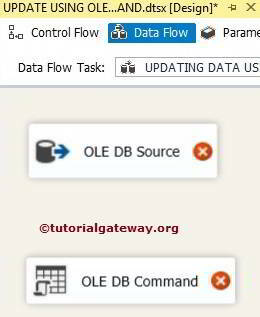 Next, Drag and drop OLE DB Source and OLE DB Command transformation from toolbox to data flow region. 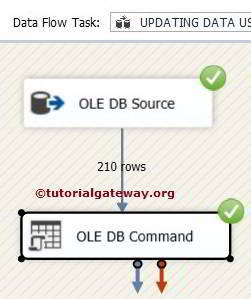 Double click on OLE DB source in the data flow region will open the connection manager settings and allows us to select the required table. Click on columns tab to verify the columns. In this tab we can uncheck the unwanted columns also. 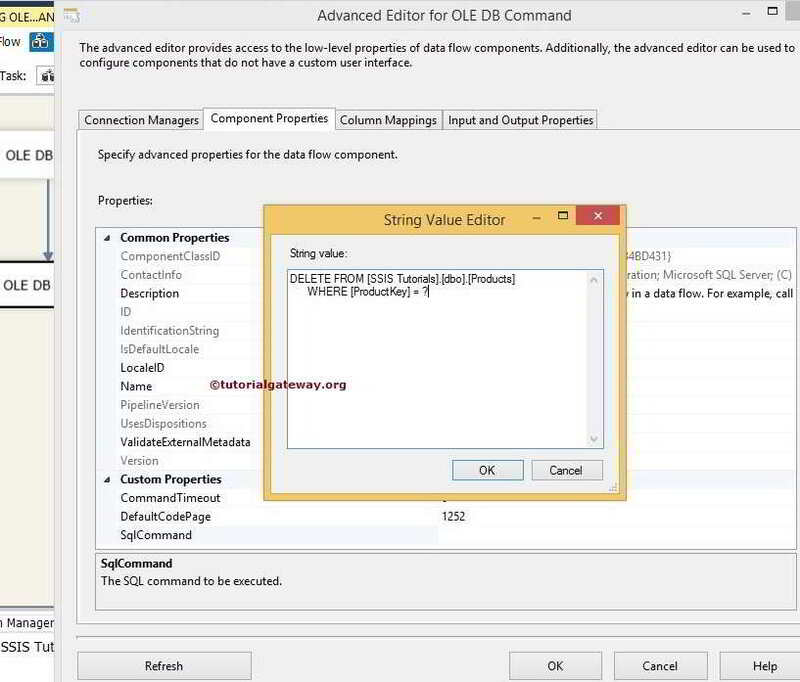 Drag the OLE DB Source Output arrow on to the OLE DB Command Transformation to perform transformations on the source data. 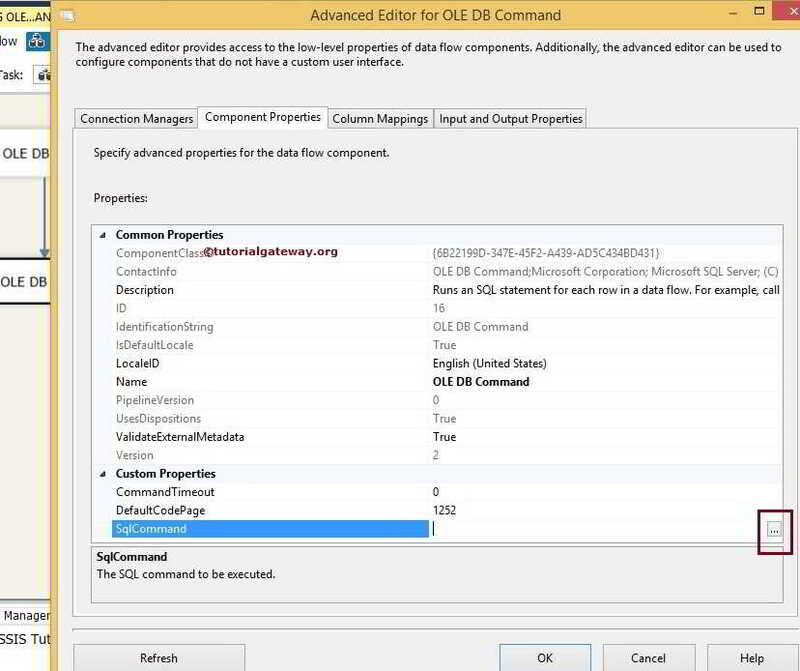 STEP 5: Double click on the OLE DB Command Transformation will open the Advanced Editor for OLE DB Command to configure it. 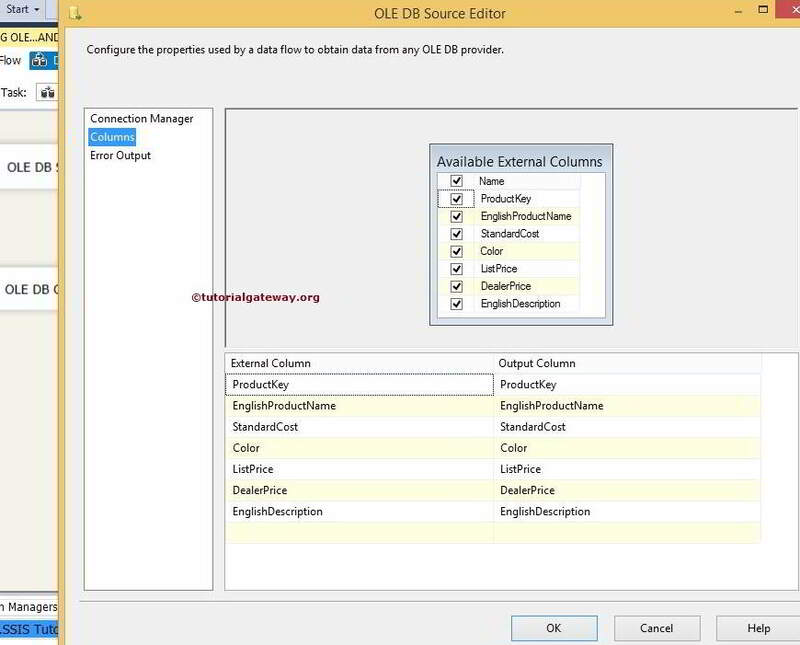 Within the Connection Managers tab we are selecting the already created OLE DB Connection from the list as shown below. 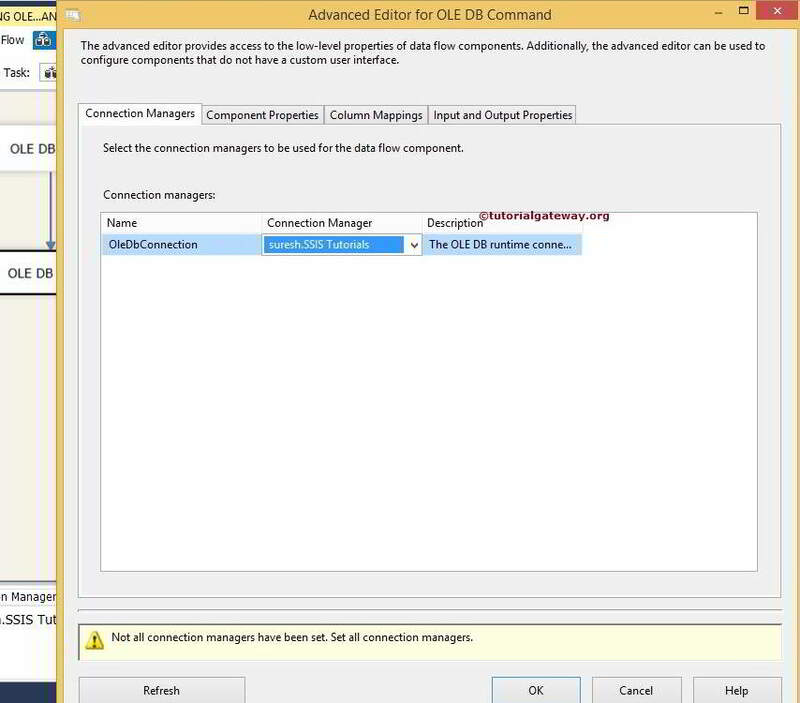 Please refer the OLE DB Connection Manager in SSIS article to understand, How to configure the connection manager. 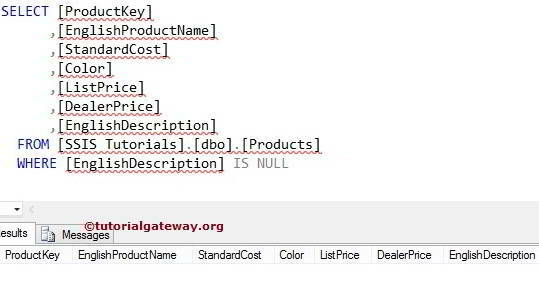 Once you click on the browse button, a String Value Editor window will be opened to write the SQL Statement. In this example, we are deleting the values in the products table. 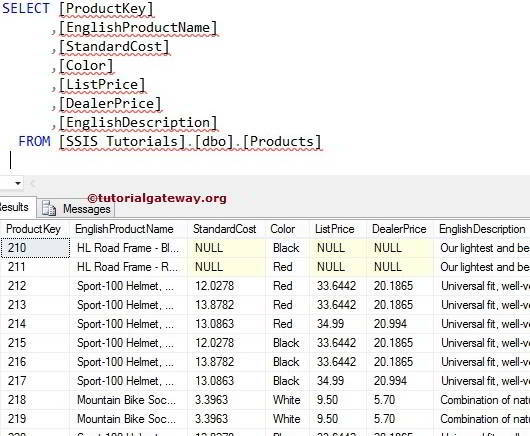 Within the Column Mapping we have to assign the appropriate column name to the parameters. From the above screenshot you can observe that, Param_0 represents first question mark which is [ProductKey] column from source. 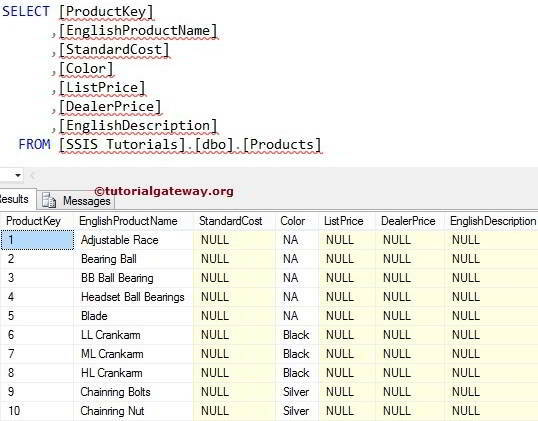 Let us open the SQL Server Management Studio and check whether we successfully deleted the rows with No description or not.